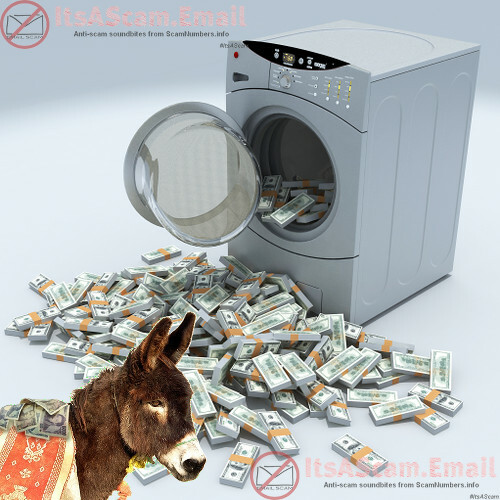 If you've found your perfect job, working from home for only a couple of hours per day, but being paid a full time salary and the job involves receiving payments for your employer and forwarding them on to them, then you are actually laundering money for criminals! Legitimate employers do not ask their employees to receive money in their personal accounts and then send it on to them, ever. Legitimate employers do not pay you a full-time salary for a couple of hours a day work. Legitimate employers do not employ people with just an interview conducted by IM (or even no interview at all). Legitimate businesses do not recieve money from customers or employees by an untraceable method such as Western Union or Moneygram. Legitimate businesses do not use multiple email addresses (including free ones) and domains, they have one domain and mail from that. If you become a money mule, you will be the only one using your real details and the only one that the authorities can trace and charge!! !